Robert Malley is one of the most often quoted commentators on U.S. Middle East policy and the Arab-Israeli conflict, thanks mostly to his time in the Clinton administration, where he served on the National Security Council as Director for Near East and South Asian Affairs, and also as Special Assistant to the President for Arab-Israeli Affairs. 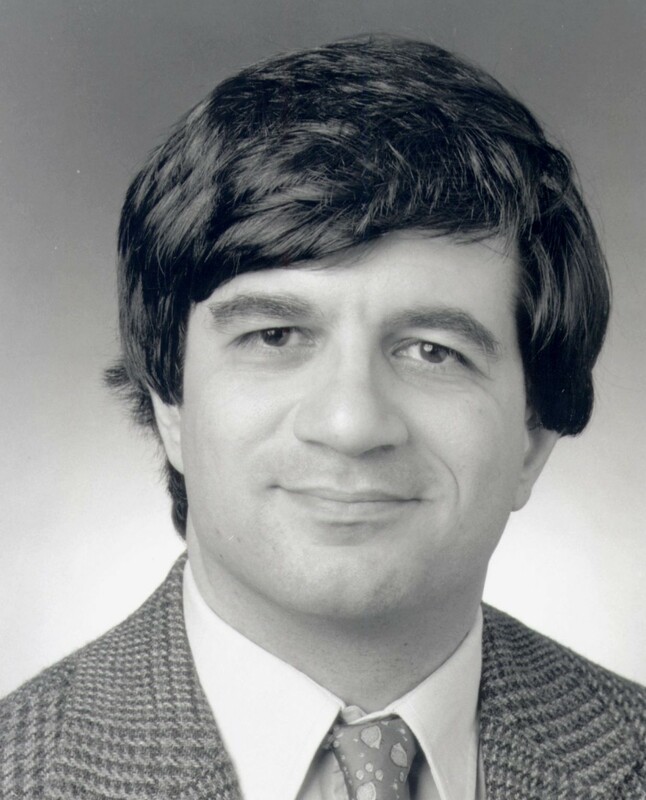 Malley served in these positions despite having no special expertise in Middle East questions – he is a Harvard-trained lawyer and later spent a few years at Oxford as a Rhodes Scholar. With the beginning of the Bush administration in 2001 Malley moved over to the policy and think tank world, continuing his involvement with Middle East issues. He was Senior Policy Advisor at the Center for Middle East Peace and Economic Cooperation, and is now with the Soros-funded International Crisis Group, where he serves as Middle East and North Africa Program Director. 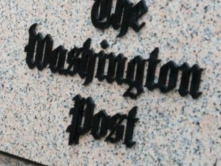 It is since joining the policy and analysis world that his media profile took off: for example, searching Robert Malley on Google yields 27,000 hits while a similar search on the professional news database Nexis returns 1,358 citations. He is perhaps most well known for a controversial series of articles in 2001 blaming Israel and exonerating Arafat for the failure of the Clinton peace efforts. 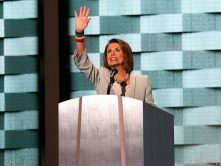 Malley has recently also been listed by the Washington Post as a Middle East advisor to Presidential candidate Senator Barack Obama, though others have disputed this. While Robert Malley’s past history might seem typical for a bright young man pursuing a senior Middle East policy position in a future Democratic administration, digging a little deeper reveals something quite untypical in his past. Robert Malley grew up in France, where his Egyptian-born father, Simon Malley, and New York raised mother, Barbara (Silverstein) Malley, were radical publishers of a controversial magazine about Africa and the so-called Third World. Malley’s parents were rabidly anti-Israel and counted Yasir Arafat as a personal friend. 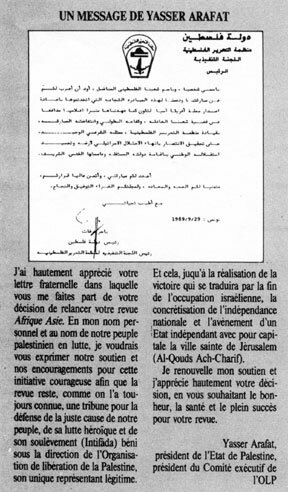 Indeed, Arafat was among those “leaders” (for want of a better word) who intervened with the French government to readmit the Malley family to France after they had been expelled for their radical activities. That is, while in the Clinton administration Malley dealt directly with Palestinian matters, and with Yasir Arafat himself, despite having a huge and hidden conflict of interest: close ties between his family and Yasir Arafat. Well, hidden from the public – when questioned about it in 2001, Dennis Ross, Clinton’s senior Middle East adviser, said that the Clinton administration knew all about Malley’s past. While CAMERA did not publish all the facts at the time, we did mention the ties between Malley and Arafat in an article in 2005. But now, with Malley possibly a Middle East advisor to a major presidential candidate, it seems the full story should be exposed. I will try to minimize repetition of what others have recently published on this subject, while still laying out the facts in a coherent way. Police are looking for the editor of Afrique-Asie magazine, whose pro-Soviet line and support for certain Third World countries is said to have upset President Valery Giscard d’Estain, The Sunday Times of London reported. 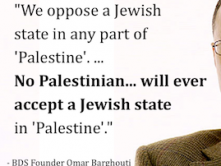 Support for Mr. Malley has come from … African and Middle Eastern leaders as well as from Yasir Arafat, leader of the Palestine Liberation Organization. “Some of his articles are a veritable incitement to the assassination of foreign chiefs of state. The French government cannot tolerate them,” [a French official said]. The bi-monthly magazine Afrique-Asie is published in Paris and regularly attacks Western policies in all parts of the world. It claims to be non-aligned, but has supported the Soviet military intervention in Afghanistan, the Cuban intervention in Angola and Ethiopia, the seizure of American hostages in Iran, the Algerian-backed guerrilla war in southern Morocco, and the Arab opposition to Israel and the Camp David agreements. 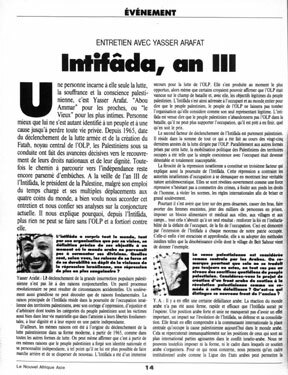 Simon Malley’s interview of Arafat in the same issue. Malley’s deep antipathy towards Israel was perhaps most starkly revealed in a series of interviews he conducted in 1982 with the Soviet-era communist dictator of Bulgaria, Todor Zhivkov. 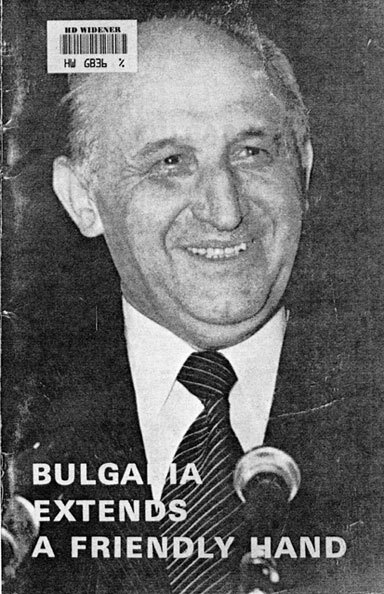 The interviews were later published as a booklet by the Bulgarian regime, entitled Bulgaria Extends a Friendly Hand, featuring a touching cover photo of Zhivkov himself. Simon Malley’s extended interview of Bulgarian communist dictator Todor Zhivkov. Turning to me he begins cordially: And now, go ahead! Ask me all the questions you want to, I shall answer you… With these words Todor Zhivkov receives me in his study. The ease of his manner is natural and contagious. [Zhivkov], who has been guiding the destinies of Bulgaria for a quarter of a century now, is the doyen of that generation of political leaders who came to replace the outstanding figures of the time of the Second World War. His frequent references to Leninism and his excellent personal relations with Leonid Brezhnev make professional anti-communists allege that he is a past master of the art of imitation. The first question I pose to him in our long conversation naturally concerns the policy of genocide adopted by the Israeli troops in Lebanon on June 4 of this year and aimed at liquidating the Palestinian resistance, its friends and its allies. What is his view of this? The smile fades away from the face of President Zhivkov. His glance, a little while ago benevolent and serene, becomes severe and a hardly concealed anger is detectable. You have been constantly rendering firm support to the cause of the Palestinian people, to their right to have an independent and sovereign state. But the Camp David accords and Israel’s aggressive actions raise serious obstacles to the legitimate struggle of the Palestinian people. 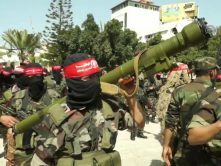 What initiative can be launched, in your view, so that the struggle for freedom waged by the Palestinian militants can be crowned with success? But in actual fact, is not this a matter of an attempt, on the part of the Americans, to encircle, and subsequently, to overthrow, the progressive anti-imperialist regimes in the region? I have in mind Algeria, Libya, Southern Yemen, etc. Terming the circa-1982 countries of Algeria, Libya and Southern Yemen “progressive regimes” was of course, standard for communist apparatchiks, though perhaps not for journalists. 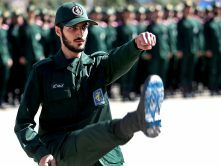 The world in which Robert Malley grew up was one in which Yasir Arafat, Fidel Castro, Leonid Brezhnev and Todor Zhivkov were heroes, any American leader – even Jimmy Carter! – was villainous, and Israeli leaders were veri table demons. Robert Malley wrote about this world, at least to some extent, in his book The Call from Algeria: Third Worldism, revolution and the turn to Islam, and in no way did he denounce or renounce it. While one does not wish to visit upon the son the sins of the father, in light of Robert Malley’s book it is therefore legitimate to ask whether or not he has moved past the world of his upbringing. Unfortunately, his many articles on the Middle East, which demonize Israel only slightly less than his father did, would argue otherwise.